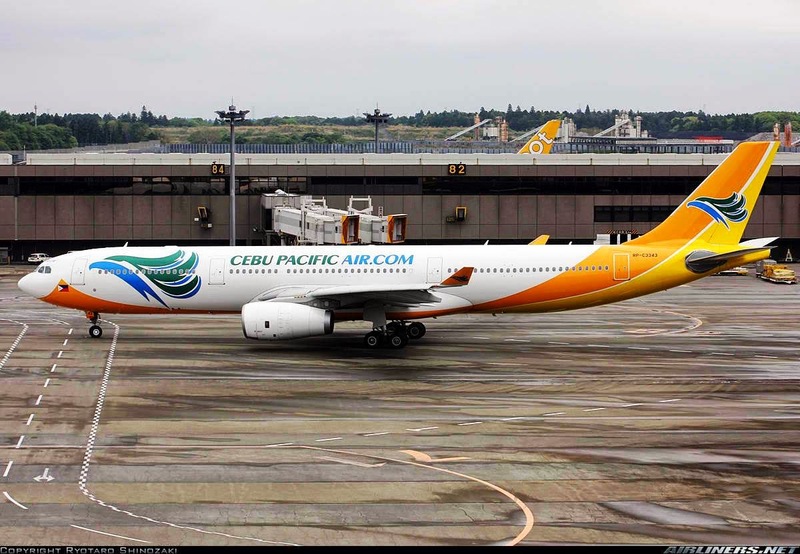 The Philippines' leading low-cost carrier, Cebu Pacific (PSE:CEB) will take delivery of its 3rd brand-new Airbus A330 aircraft next month, and it will be utilized on one flight between Manila and Cebu, and two flights between Manila and Davao starting February 25 to June 8, 2014. The newly delivered 436-seater aircraft increases seat capacity to these two destinations during this period. "We look forward to serving Cebu and Davao guests on our newest A330 aircraft, and offering A330 travel products such as CEB Air Wi-Fi. These additional seats are just in time for the Philippine summer season, so we encourage guests to book their flights in advance for the most travel savings," said CEB VP for Marketing and Distribution Candice Iyog. From February 25 to June 8, 2014, CEB will utilize its A330 aircraft on a daily Manila-Cebu-Manila flight (5J 8563/8564), departing Manila at 6:10am and departing Cebu at 8:40am. For the same period, CEB will utilize the same A330 aircraft in two daily Manila-Davao-Manila flights. 5J 8975/8968 will depart Manila at 11:10am and leave Davao at 2:25pm. On the other hand, 5J8973/8974 will depart Manila at 5:40pm and leave Davao at 8:55pm. Only available on Airbus A330 flights, CEB Air Wi-Fi data plans range from 50MB to 100MB. CEB's other brand-new A330 aircraft are also utilized on flights to Dubai, Seoul (Incheon) and Singapore. "Our 3rd brand-new Airbus A330 aircraft from Toulouse, France not only increases the number of seats available to Cebu and Davao, but also features Airbus' fuel-saving technology that allows us to keep our fares low," Iyog added. Meanwhile, CEB further strengthens its domestic network with additional daily frequencies from Manila to Bacolod, Puerto Princesa and Zamboanga, and additional thrice weekly frequencies from Manila to General Santos. This will also be from February 25 to June 8, 2014, utilizing CEB's A320 family aircraft fleet.